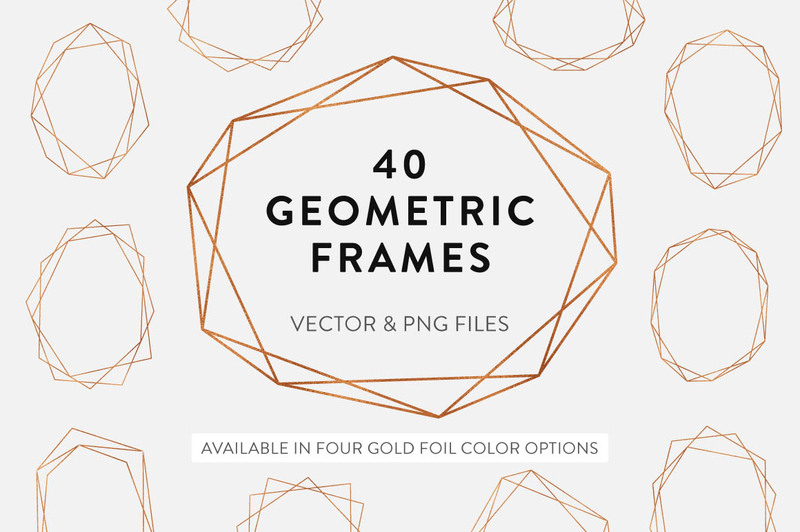 Introducing 40 Geometric Frames, a collection of modern vector polygonal shapes. 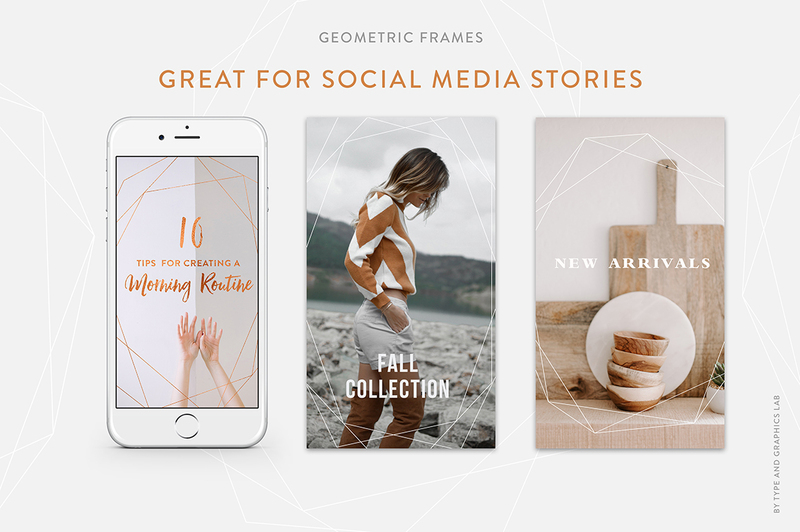 These geometric frames are fully editable and can be used in various design projects including branding, logo design, social media posts, print & digital advertisements, product designs, wedding invitations, scrapbooking, and many more. 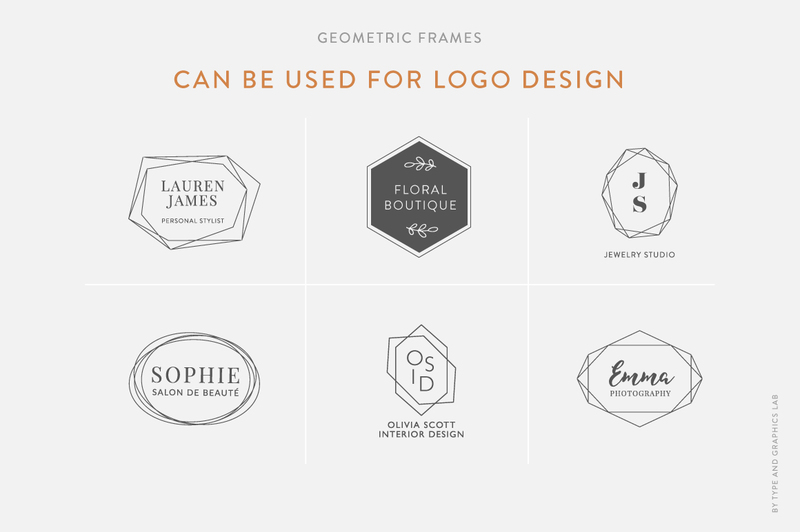 • One .AI file with all 40 objects (compatible with Adobe Illustrator CS6 or newer). 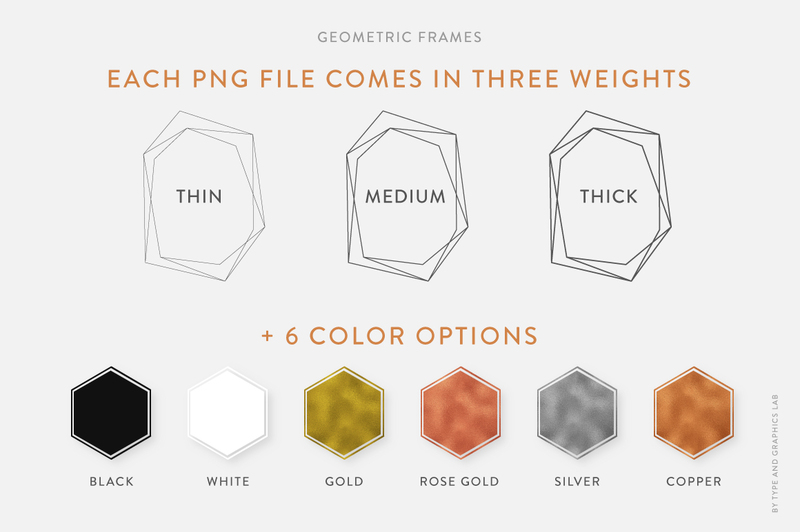 The frames are represented as strokes (not expanded) so that you can change the weight as you like. 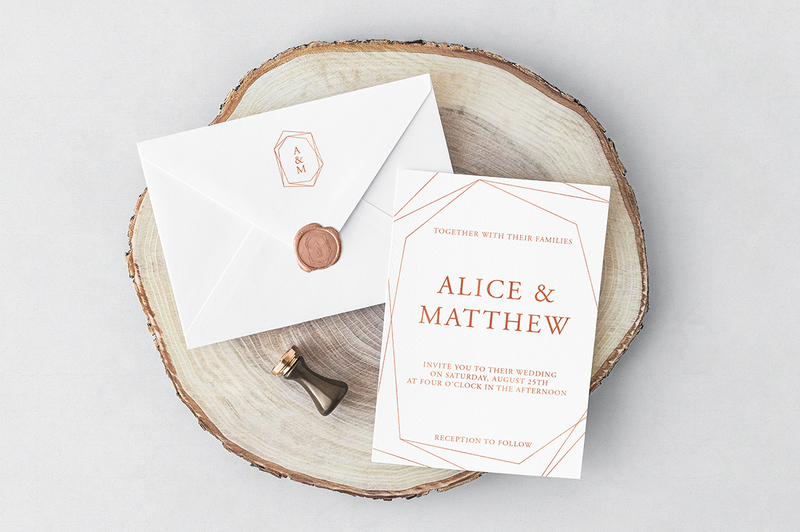 • Ready-to-use .PNG files (300 ppi, transparent background): 3 stroke weights + 6 color options: black, white, gold, rose gold, silver, and copper. 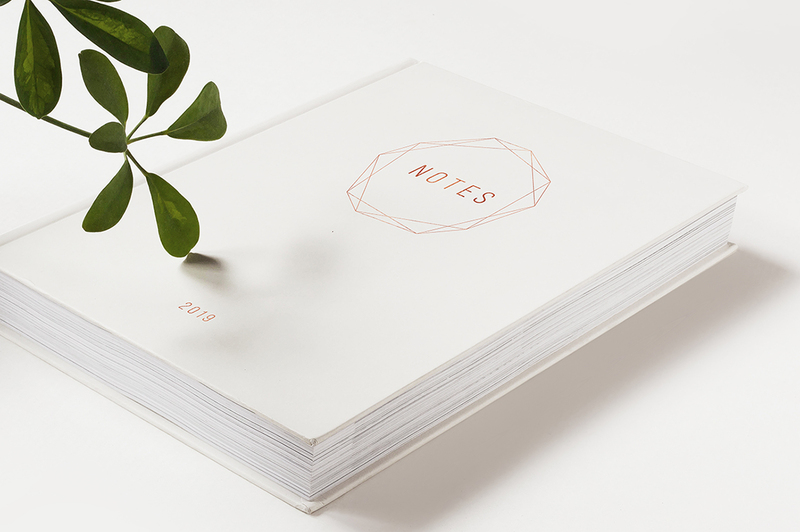 • Bonus: 4 seamless gold foils (.JPG, 2000 x 2000 pixels, 300 ppi).